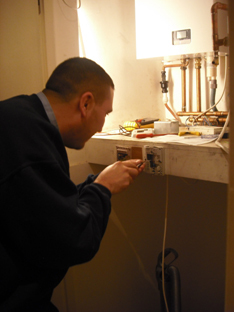 You must have extensive previous experience in domestic plumbing and heating industry. GAS SAFE registration, ACS and relevant qualifications required. You should have our own tools & vehicle from the beginning but through time company vehicle will be supplied. A full clean driving license needed. Public liability insurance and tax reference number needed. Self-employed people are responsible for paying their own National Insurance Contributions and Tax. Duties include boiler, central heating, radiator, water cylinder, immersion heater, bathroom, toilet repairs, breakdowns, installations and maintenances, all type of plumbing and heating services and installation. You must be able to provide high level of service and to high standard. You must be customer-focused, honest, enthusiastic, presentable, good communicator with professional manners and excellent customer services skills and be able to fit in a family run team Overtime is always available. 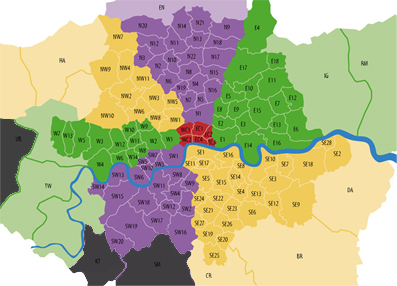 Due to work locations you need to be living or having accommodation in Central London, West End London, South West London, North London, North West London, South East London, East London, Essex, Kent, Bromley and all surrounding areas. Overtime is always available at the weekend and holidays. You must have extensive previous experience in commercial plumbing, heating industry. You have to be self-employed, must have your own van and tools, a full clean driving license needed. GAS registration, CCNI, ACS, CODNCO1, CDGA1, CIGAI and other relevant commercial qualifications needed. You will be doing installations, repairs and maintenances and annually services for private and trade customers in commercial properties like hotels, hospitals , offices, pubs, bars, caravan, mobile catering, etc. You must be able to provide high level of service and to high standard You must be fluent in English, flexible, enthusiastic, presentable, honest, caring, good communicator with a professional manner who is able to deal with customers in different situations and be able to fit in a family run team. It is very important to understand that you have to be willing to travel from places to places in London as it’s the nature of the job. Due to job locations you need to be living or having accommodation in Central (city) London, West End London, South West London, North London, North West London, South East London, East London, Essex, Kent, Bromley and all surrounding. Overtime is always available at the weekend and holidays. You must have experience in LPG plumbing and gas trade. LPG ticket, OFT and other relevant qualifications needed. You must have your own vehicle at the beginning and tools through time company vehicle will be supplied. Public liability insurance and tax reference number needed. G and C qualification preferred. Self-employed people are responsible for paying their own National Insurance Contributions and Tax. Duties include LPG breakdowns, repairs, installations and maintenances for private and commercial customers like restaurants, pubs, bars, caravan, mobile catering, etc. A full clean driving license needed. You must be customer-focused, honest, enthusiastic, presentable, good communicator with professional manners and excellent customer services skills. Overtime is always available. Due to work locations applicants must be living or having accommodation in all postcodes EC, WC, W, SW, E ,N , NW, RM, IG, SE, BR, TW, EN, CR, SS, CM, UB Central London, West End London, South West London, North London, North West London, South East London, East London, Essex, Kent, Bromley and all surrounding areas. Overtime is always available at the weekend and holidays. You must have experience in electrical trade, NICEIC or city & guilds and other relevant qualifications needed. You must have your own tools, own vehicle from the beginning through time company vehicle will be supplied Public liability insurance and tax reference number needed. Self-employed people are responsible for paying their own National Insurance Contributions and Tax. Duties includes rewiring, servicing electrical system, repairing fuse Boards, sockets, earth Bonding all maintenance, breakdown, installation, etc for private and commercial customers. A full clean driving license needed. You must be customer-focused, honest, enthusiastic, presentable, good communicator with professional manners and excellent customer services skills and be able to fit in to a family run team. Due to work locations applicants must be living or having accommodation in Central (city)London, West End London, South West London, North London, North West London, South East London, East London, Essex, Kent, Bromley and all surrounding areas. Overtime is always available at the weekend and holidays. You must have experience in Glazing trade, City & Guilds and relevant qualifications needed. You must have your own tools, own vehicle at the beginning through time company vehicle will be supplied Public liability insurance and tax reference number needed. Self-employed people are responsible for paying their own National Insurance Contributions and Tax. Duties includes repairing, replacing al types of glass, single glazing, double glazing for commercial and domestic customers, staging and scaffolding materials required, Measure and mark outlines or patterns on glass to indicate cutting lines and all other relevant tasks. A full clean driving license needed. You must be customer-focused, honest, enthusiastic, presentable, good communicator with professional manners and excellent customer services skills and be able to fit in to a family run team. Due to work locations applicants must be living or having accommodation in Central (city)London, West End London, South West London, North London, North West London, South East London, East London, Essex, Kent, Bromley and all surrounding areas. Overtime is always available at the weekend and holidays. You must have experience in air-conditioning & ventilation trade, HVAC and relevant qualifications needed. You must have your own tools, own vehicle at the beginning through time company vehicle will be supplied Public liability insurance and tax reference number needed. Self-employed people are responsible for paying their own National Insurance Contributions and Tax. Duties includes repairing, replacing air-conditioning, refrigeration, ventilation appliances for commercial and domestic customers, maintenance and installation, dealing with emergency. A full clean driving license needed. You must be customer-focused, honest, enthusiastic, presentable, good communicator with professional manners and excellent customer services skills and be able to fit in to a family run team. Due to work locations applicants must be living or having accommodation in Central (city)London, West End London, South West London, North London, North West London, South East London, East London, Essex, Kent, Bromley and all surrounding areas. Overtime is always available at the weekend and holidays. You must have experience in building trades, City & Guilds and relevant qualifications needed. You must have your own tools, own vehicle at the beginning through time company vehicle will be supplied Public liability insurance and tax reference number needed. Self-employed people are responsible for paying their own National Insurance Contributions and Tax. Duties includes property repairing, planning and designing some building projects, dealing with tilling work, refurbishment work, build domestic and commercial properties, painting jobs, Wood work, staging and other relevant tasks, scaffolding materials required,A full clean driving license needed. You have to be able work alongside with some heating or plumbing engineers or electrician, glazier or other trades people. You must be customer-focused, honest, enthusiastic, presentable, good communicator with professional manners and excellent customer services skills and be able to fit in to a family run team. Due to work locations applicants must be living or having accommodation in Central (city)London, West End London, South West London, North London, North West London, South East London, East London, Essex, Kent, Bromley and all surrounding areas. Overtime is always available at the weekend and holidays. You must have both extensive theory and practical experience in many different trades especially plumbing, heating, air-conditioning & ventilation, electrical, glazing, building & carpentry, locksmiths, etc. Your duty includes dealing with technical issues, pricing up the work, overseeing the projects, supporting the customers and engineers with any technical project and anything relevant technical roles. Company vehicle will be supplied. You have to be willing to work overtime/ standby during out of working hours and holidays. You must be customer-focused, honest, enthusiastic, presentable, good communicator with professional manners and deliver excellent customer services skills and assist customers and engineers and be able to fit in a family run team. You have to standby in the office to deal with written quote and queries and attend working sites when required when deal with this you have to have good practical skills with a careful and methodical approach to work, awareness of safety issues, a reasonable level of fitness. This is permanent position. Overtime is always available at the weekend and holidays.